Wanna party but need a little help? We’ve got you covered girl! Parties are our JAM! #dancebreak. Meet the Prȇt-à-Party box! A themed collection of stylish party decor, sassy drinkware, and all kinds of FUN stuff delivered to your door step. All you need to do is set it up, pop some bubbly, pump up the volume…and VOILA! It’s a Party! We’ve worked closely (a.k.a.had lots of fun!) with some of our favourite brands, designers and vendors to bring you the trendiest party decor on the market. SIP SIP HOORAY – Call in the Bride’s drinking team, POP the bubbly and shower the Bride to be! 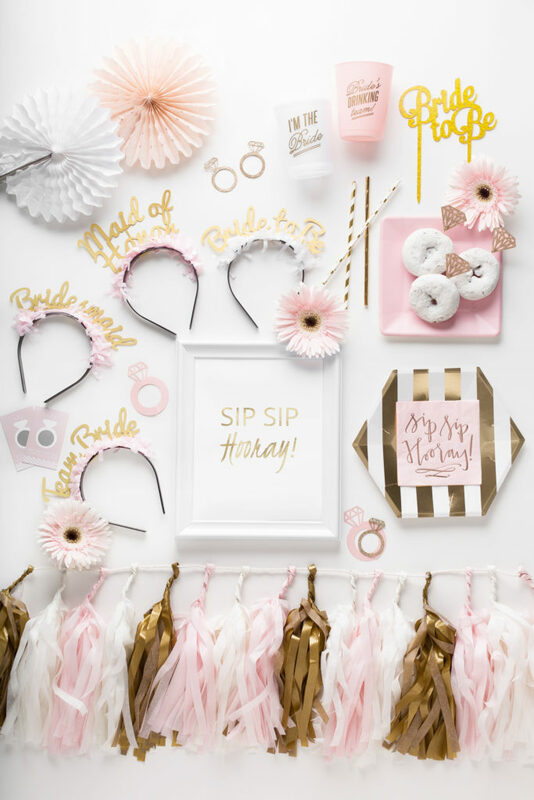 Our Sip Sip Hooray blush, white and gold themed Prȇt-à-Party box is filled with modern and chic decor to help you host a Pinterest perfect bridal shower. 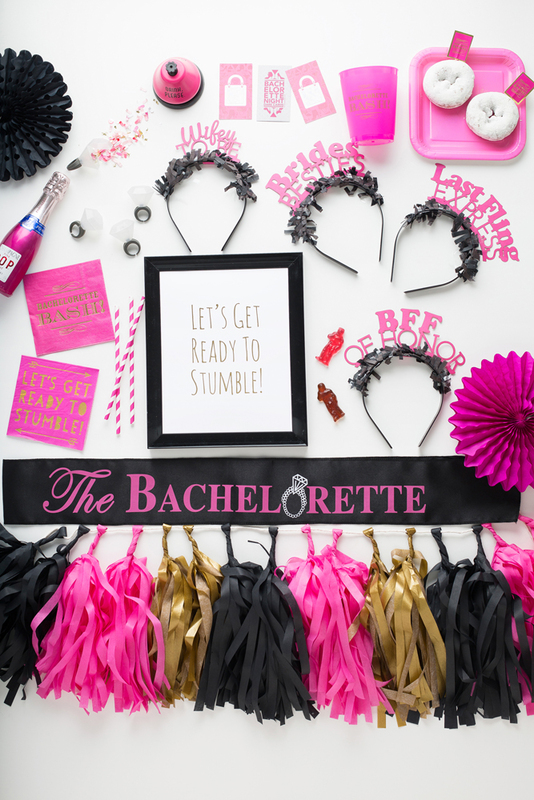 BACHELORETTE BASH – Want to host a rocking bachelorette bash for your bestie? We’ve got you covered with our Bachelorette Bash hot pink, black and gold themed Prȇt-à-Party box. Those girls will be ready to stumble and have the best girl’s night ever! LET’S GET CRAY! – Whether it’s a graduation, birthday or an impromptu dinner party you’re hosting, we want to help you be the “Life of the Party!”. 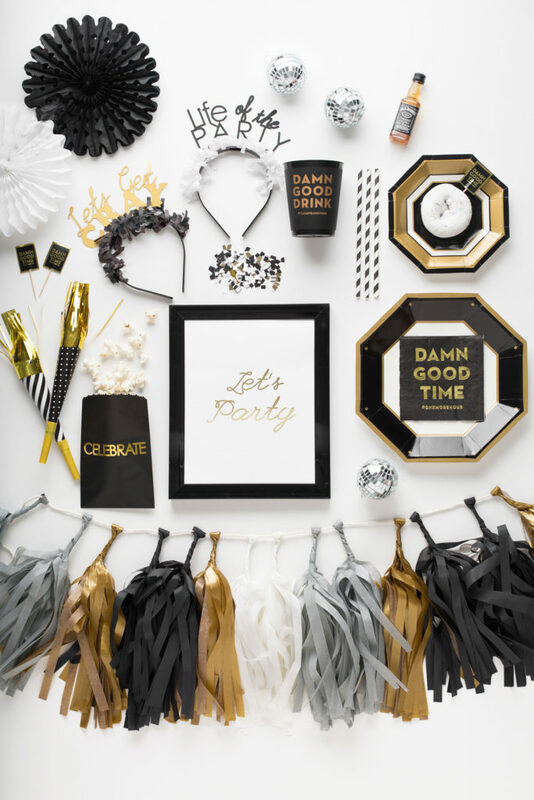 Our Let’s Get Cray black, white and gold themed Prȇt-à-Party box is packed with everything you need to have a damn good time! HAPPY BIRTHYAY! 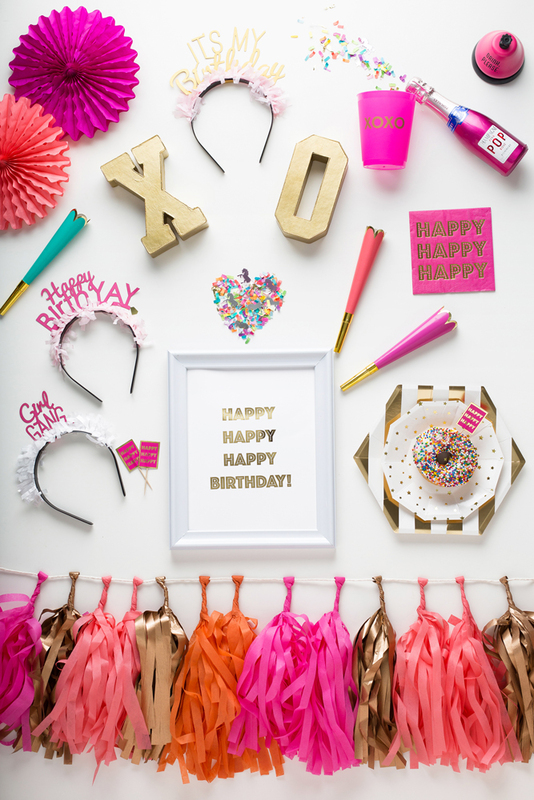 – Get your Girl Gang together and “party like it’s your birthday!” Our Happy BirthYAY hot pink, coral, white and gold themed Prȇt-à-Party box is packed with all kinds of fun stuff for a HAPPY celebration! xoxo…. Our goal is to make hosting a party easy, effortless and most of all …FUN! Check out our Prȇt-à-Party boxes here! Join our PARTY + Happy shopping!